Unlock and learn to interpret the meanings to your dreams. In understanding your dreams, you will gain a clearer view on your personal relationships, an uncensored view of your real feelings and a better perspective on life issues. It is clear that your dreams are unique; no other individual can have your personal background, your emotions, or your experiences. Thus, your own dreams can only be connected to your own "reality". With this in mind, it is important to draw from your personal life and experiences when interpreting a dream. Once you have an understanding of your dreams, it provides you with insight into your own self and a means for further self-exploration. You will gain a better understanding and discovery of your true self. We all have dreams, no matter how young or old we all sleep and that world of mystery creeps in. Some of us do not remember our dreams, some of us are not able to understand them, while some others are able to predict them like the weather. For those of you who do not remember your dreams, there are little tricks you can do to trigger your sleeping memory. Those tips are spoken about in the dream workshop. In my experience, whenever an individual cannot remember their dreams it is because there is a block somewhere in their life preventing them from digging deep in to the reality of their sleeping world. 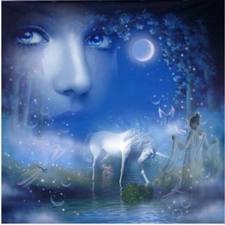 Being an intuitive dreamer myself, I have been assisting many people with remembering their dreams. Over the years I have noticed that when they achieve the ability to tap into their sleeping mysteries how much it heightens their spiritual senses. It is quite astonishing for me to see how much remembering their dreams can increase their ersonal enlightenment after becoming in tune with their dreams. FEEL FREE TO JOIN IN OUR DREAM WORKSHOP EVERY SATURDAY FROM 3PM-4PM LISTEN TO THE VIDEO FOR DETAILS.